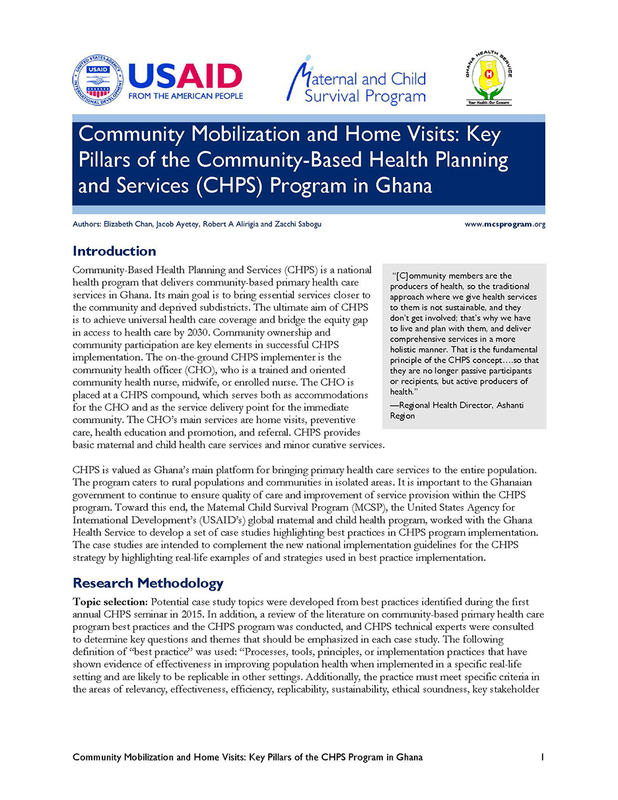 Community-Based Health Planning and Services (CHPS) is valued as Ghana’s main platform for bringing primary health care services to the entire population. The program caters to rural populations and communities in isolated areas. It is important to the Ghanaian government to continue to ensure quality of care and improvement of service provision within the CHPS program. 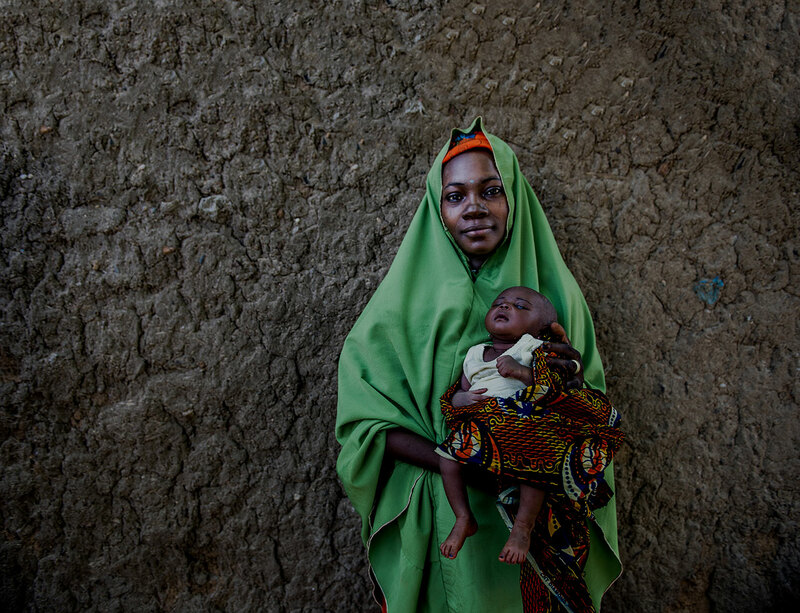 MCSP, the United States Agency for International Development’s (USAID’s) global maternal and child health program, worked with the Ghana Health Service to develop a set of case studies highlighting best practices in CHPS program implementation. The case studies are intended to complement the new national implementation guidelines for the CHPS strategy by highlighting real-life examples of and strategies used in best practice implementation.